Your RV Loan will be affected by your current credit score. Let's start off here with a little disclaimer. Everything About RVing is an RVing and RV Lifestyle web site. It is and has always been my goal to share our family's joy of RVing. I do not claim to be an expert on Credit Scores, Credit Reports or Credit Repair. I provide this information in the hopes that it will help you with your RV purchase. Well, now that I got that out of the way, let's see if I can help you figure out what to expect when you apply for a RV loan to purchase your RV. You, like most consumers in the US are not fixated on your FICO (this is sometimes mistakenly referred to as FICA, FICO is the proper name, but by either name they are the same thing) Credit Score. That is, until you apply for a RV loan and are told that due to your FICO Credit Score you are going to be paying a higher interest rate than you thought on your RV loan. that, is when you become concerned about your FICO Scores. I have divided this page into two sections, the top section is a Q&A on how your credit score is determined. The last section is for you if your credit score is in critical condition and needs a heart transplant. You should still read the first section as well. What the heck does FICO stand for anyway? Well, you will probably be sorry you asked, but here goes. FICO is an acronym (a word formed from initials or parts of other words) for Fair Isaac and COmpany. WHO ARE THESE GUYS? This is a firm that uses a proprietary (in other words they own it) formula which calculates a three digit number, between 300 and 850. 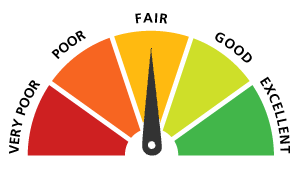 When you apply for a loan the lender looks at this score to determine what kind of risk they face by loaning you money. The higher the risk you are, the higher the interest rate you pay. Just a note: Lenny the Loan Shark down the street does not use this score to give you an RV loan, he just lets you know upfront that failure to pay back the RV loan on a timely basis will cause severe damage to one or more of your body parts. The higher the RV loan amount the higher the number of body parts at risk (but, I digress). What Factors do they use to figure out your score? There are 5 factors they look at to give you a score, these factors are known as The FICO FIVE (not to be confused with the Italian western movie by the same name). Below are the factors and what percentage they contribute to the overall score. 5. The number of inquiries to review your Credit Report 10% (if you are in business for yourself, you will have more inquiries than if you are not in business for yourself, or at least that is the way it is suppose to work). Where does all of this information come from? There are three companies that track this information in the US they are Equifax, Experian and TransUnion (yes, these companies are watching your credit history and they are taking notes and they know who has been naughty and nice). 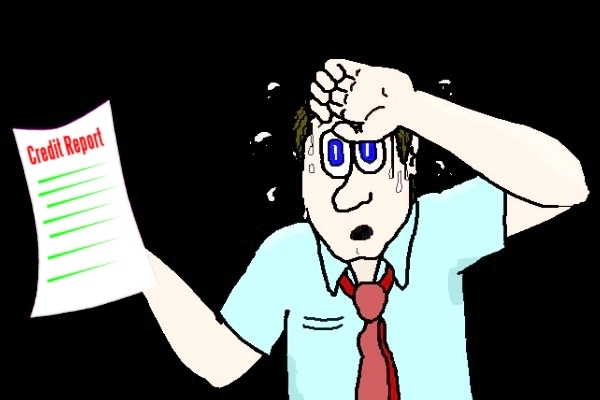 I really want an RV Loan but I need a copy of my Credit Report, can I get it for free? You are quite demanding, but yes, you can get a free report. The 2003 Fair Credit Reporting Act (FCRA) requires each of the nationwide consumer reporting companies Equifax, Experian, and TransUnion to provide you with a free copy of your credit report, at your request, once every 12 months.. In fact, to comply with the Act Equifax, Experian and TransUnion got together and made a web site so that you can download all of their reports in one location. If you would like to get copies of your personal reports at no cost to you they are available at AnnualCreditReport.com (this link opens in a new window, you may have to disable your popup blocker). Again, this is not a commercial site it is totally free as mandated by the 2003 Fair Credit Reporting Act. OK I got my credit reports, now what does the FICO score tell me? Here is the breakdown and what your number means about what kind of risk you are to the lenders. If your score was not so good, you may want to move on to the next section. WOW!!! I was ready to get my RV Loan and now I look at my Credit Score and it is terrible, Is there any way I can fix it? No, you are stuck with it for life!!! JUST KIDDING!!! Yes, there are ways that you can repair your credit report. Payoff the small items that are showing up on your credit report. Paying off these items will give you a good start on repairing your credit. Hire a company that is in the business of repairing peoples credit. There are quite a few reputable companies that help consumers with cleaning up their credit (we are not going to make any recommendations here as we are basically an RVing site and it would be beyond our scope to refer you to one company over another). Unfortunately, there are quite a few non-reputable companies that claim that they can give you a perfect credit record. These non-reputable companies fall into one of two categories. The first type takes your money up front and does absolutely nothing to repair your credit and then you have to track them down to get your money back (if it is even possible). he other does do things to clean up your credit, but the methods they use could be illegal and get you in trouble. Before you hire any company to fix your credit, you should check them out through the Better Business Bureau. Don't say I didn't warn you. Do it yourself. You can take the same steps that a reputable credit repair company takes to clear up your credit (we are talking about legal steps not the illegal ones). So, instead of paying someone else to take care of your problem, you can invest your own time in cleaning up errors on your credit report. Word of warning, cleaning up your credit is not an overnight process, it took you a long time to mess it up, so it will take a bit of time to fix it. The Federal Trade Commission has a free booklet titled Credit Repair Self-Help. It walks you through the steps to fix errors on your credit report. Just click on the link below to open up this file and save it to your hard drive. This file requires the free Adobe Acrobat Reader to view it. We also have a link to Adobe Reader as well. Both of these links will open up in new windows, so you may have to disable your popup blocker. Here is the brochure: Credit Repair Self-Help. Here is the link to Adobe Reader if you need it: Download Free Adobe Reader. I hope I have been able to shine some light into the dark and scary world of Credit Scores and Credit Reports. As I said in the beginning this is an RVing web site and I put this section in to help you get into the RVing Lifestyle. I know that once you get through this credit nightmare and bring your RV home, you will not regret the steps it took to get it. In fact, I guarantee that after the first trip you take in your RV, that memories of this whole ordeal will disappear.